Stef's mom comes to visit and helps Stef cope with a tough time. Meanwhile, Callie and Jude grapple with the memory of their biological mother. In the series finale, the family starts to wonder about the wedding after a few turbulent days in Turks and Caicos. 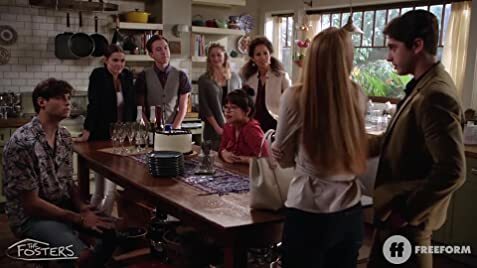 The moms make a momentous decision that will change the family forever. How many episodes of The Fosters have you seen? What an excellent start, i was gripped within the first 2 minutes of watching the excellently paced 1st episode. This show wants you interested right from the start but there's no tricks or flashy style, just good solid drama. The acting is superb, especially from the 2 moms, it was nearly like watching a documentary of a family in action. I also remember thinking the music the show used was particularly appropriate and very complimentary to the visuals. 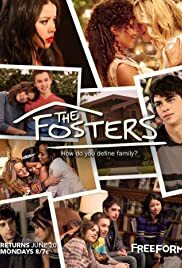 As the title implies, The Fosters is a show about a foster family but with a nice modern day twist - there are two moms instead of a mom and dad, the eldest son is the biological son of one of the moms from a previous marriage, and then there are the twins, a boy & girl, recently adopted by the family. This is a show concerned about all the people who fall outside of the traditional family existence, about the children who need another family to take them in. And they make it interesting! Really can't emphasize this enough, there was obviously a great effort employed to combine the serious and complex issues with the need to entertain to tell the story, and they did brilliantly, i wasn't bored for a second. I really can't think where they fell down, apart from a small complaint that 'who was who' was a little hard to follow at times, even though that by the end you know who is who. I'm taking a hard stance on this point and deducting one from the score. 165 of 189 people found this review helpful. Was this review helpful to you?